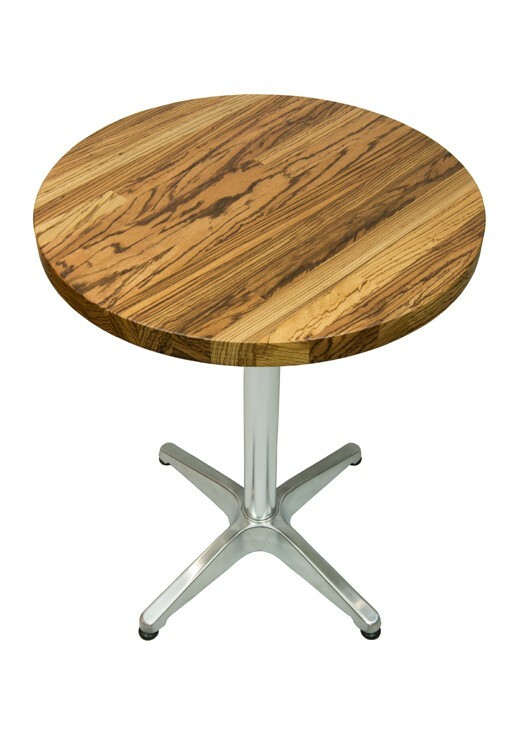 Quality long lasting zebrano 600mm round restaurant table top / bistro table made of finest solid wood zebrano materials. They are supplied untreated with finished edges ready for oiling, please enquire about different oil or lacquer finishes available. More sizes available on request. Not recommended for outdoor use unless special treatment (please refer to finishing products manufacturers). Zebrano is also known as Zebrawood due to its zebra like grain pattern, is native to West Africa. Its species name is Microberlinia brazzavillensis. Zebrano worktops are most often used for its striking striped appearance to create a strong visual effect. 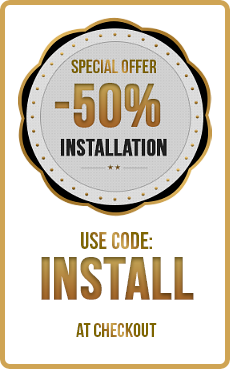 It is also used commonly as veneer and also for tool handles, furniture, boat building and sports equipment like skies. Zebrano wood has a creamy, light brown colour with distinctive dark brown stripes resembling those of a zebra. It is a bold, dramatic wood and we would recommend Zebrano to those who are looking to add style and glamour to their kitchens. It works particularly well in contemporary kitchens with clean lines and bold styling.